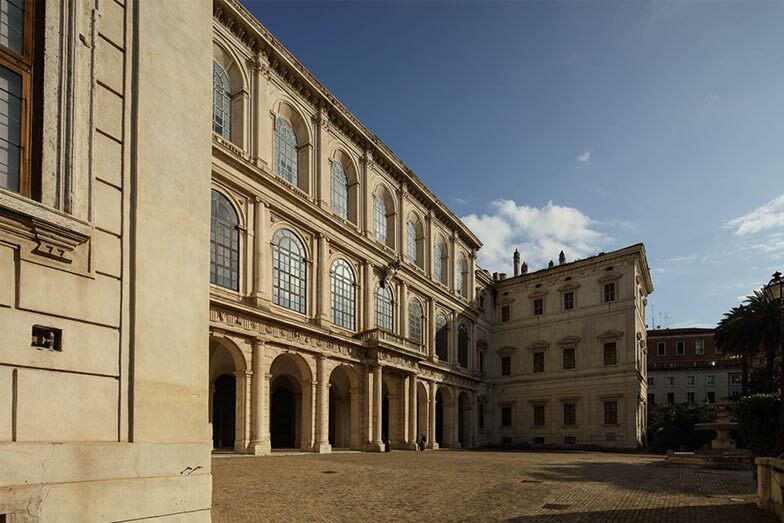 Palazzo Barberini is the prototypical Baroque palace, designed by three of the most important architects of the 1600s: Carlo Maderno, Gian Lorenzo Bernini and Francesco Borromini. In 1623, Maffeo Barberini (Florence 1568 – Rome 1644) was elected Pope and took the name of Urban VIII. Two years later he acquired a villa on the Quirinal Hill, owned by the Sforza family, for his nephews, who were newly invested with all sorts of honors and responsibilities. 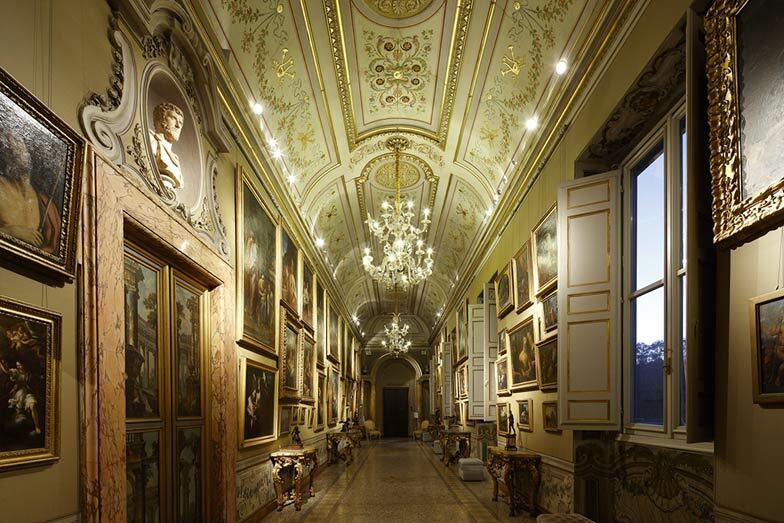 He commissioned Carlo Maderno (1556-1629) to transform it into his family’s new residence. 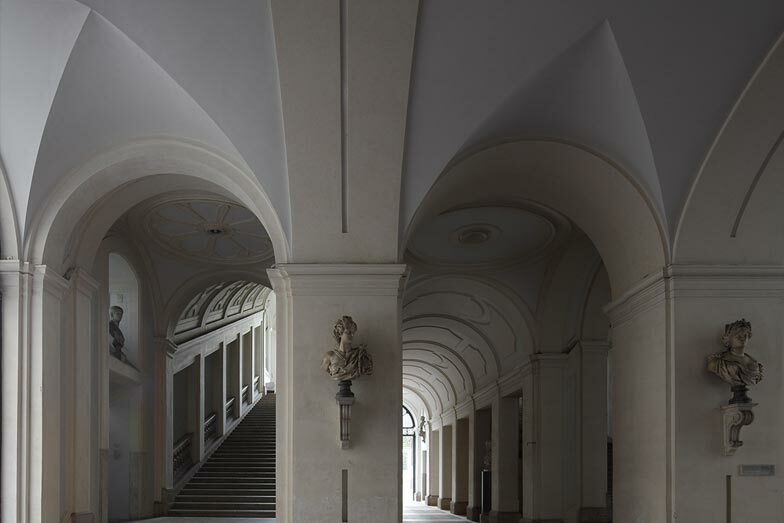 Instead of demolishing the villa, the architect incorporated it into a new project: The Sforza wing, the part of the building that faces the current Piazza Barberini, is connected to the other parallel wing by a central hall. The new floor plan of the building is in the innovative shape of an “H”. Maderno created an open-winged structure containing an immense garden, with rare plants, secret courtyards and formal gardens. 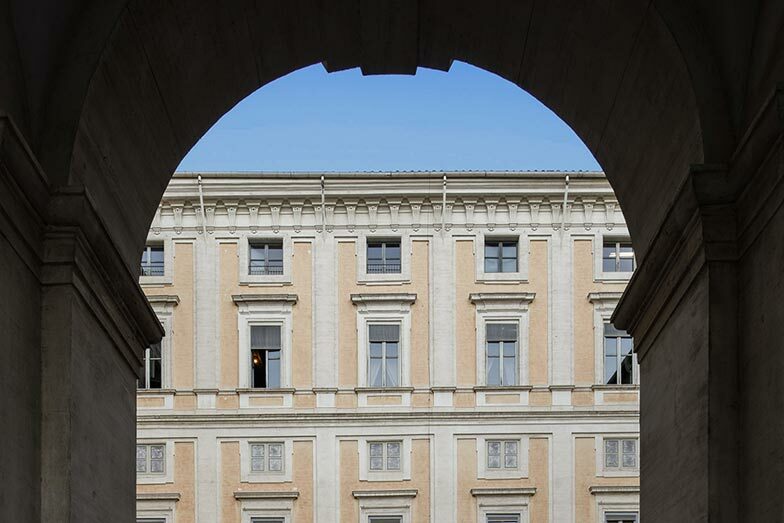 Today one enters the palazzo from via delle Quattro Fontane through the portico façade, on which is raised a false glass loggia, designed in all likelihood by Gian Lorenzo Bernini (1598-1680), who in 1629 succeeded Carlo Maderno in overseeing the construction. 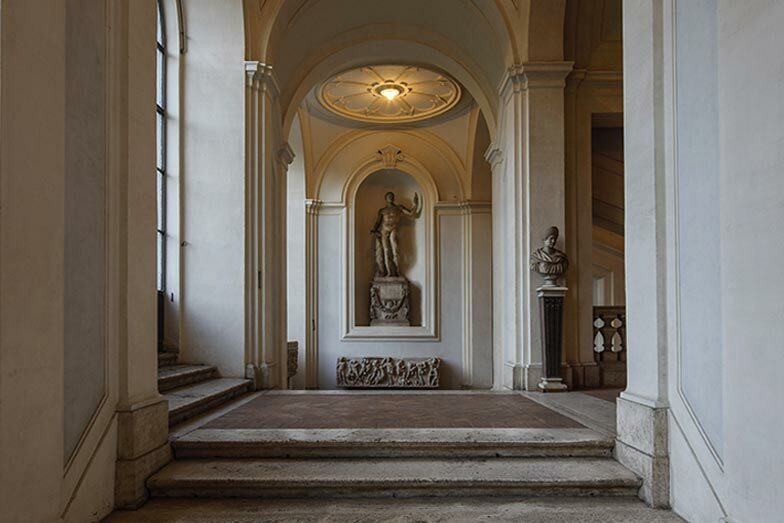 The pulsing heart of the construction is the majestic entrance hall with frescoes by Pietro da Cortona. 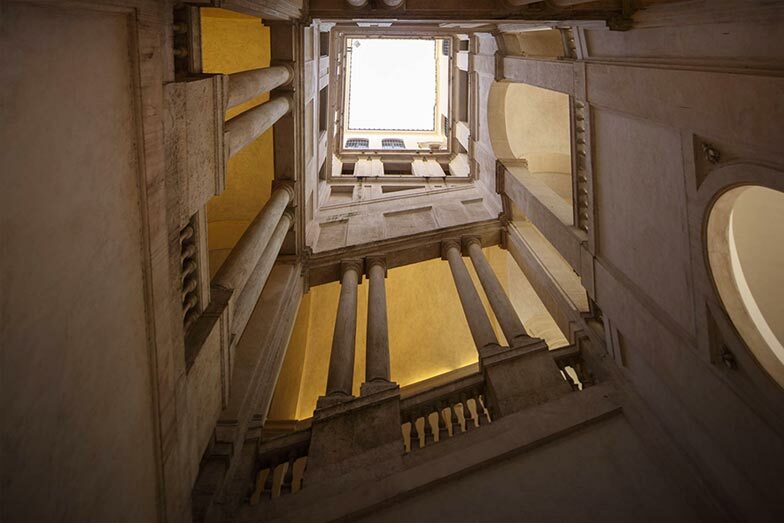 One reaches this monumental space by a square-shafted staircase, designed by Bernini, on the one side, and by an extraordinary oval helicoidal staircase on the other, probably designed by Francesco Borromini (1599-1667). 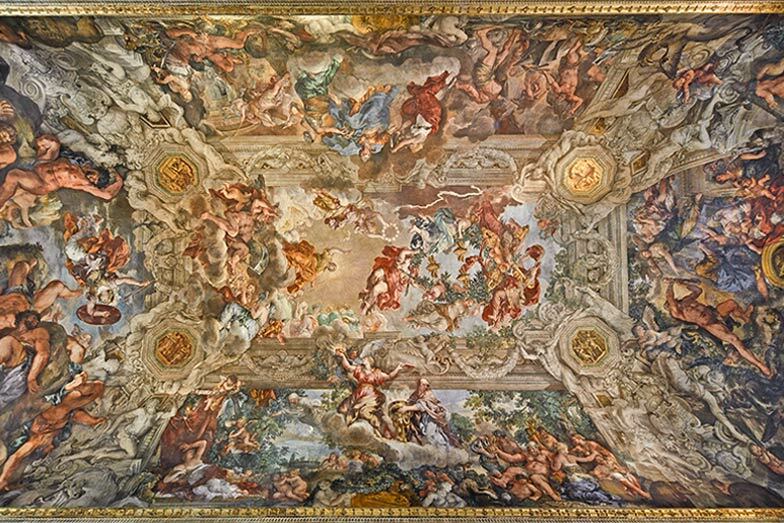 Starting in around 1620, various masters worked continuously on the interior decorations, until about the mid 18th-century, when the last direct heir, Cornelia Costanza, had a Rococo-style apartment decorated on the top floor. 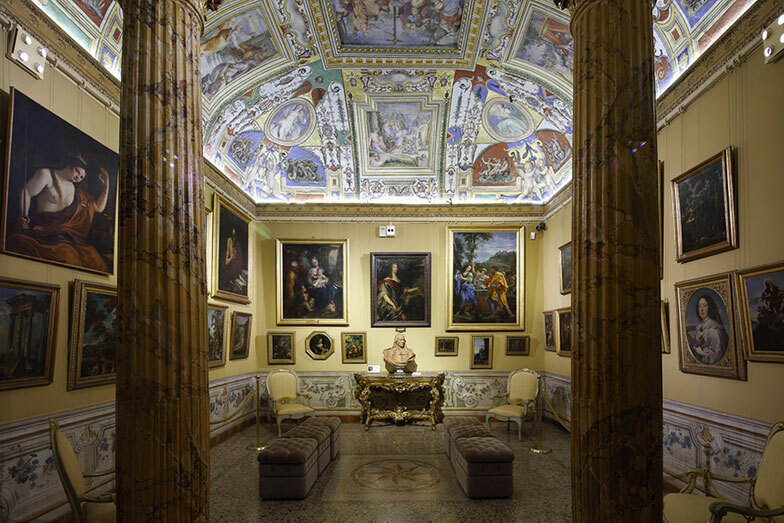 The descendants of the Barberini family lived in the 1700-style apartment in the palazzo until 1955. The history of Palazzo Corsini begins in 1511, when the building was erected by Cardinal Raffaele Riario (1461-1521) on his property on Via della Lungara. 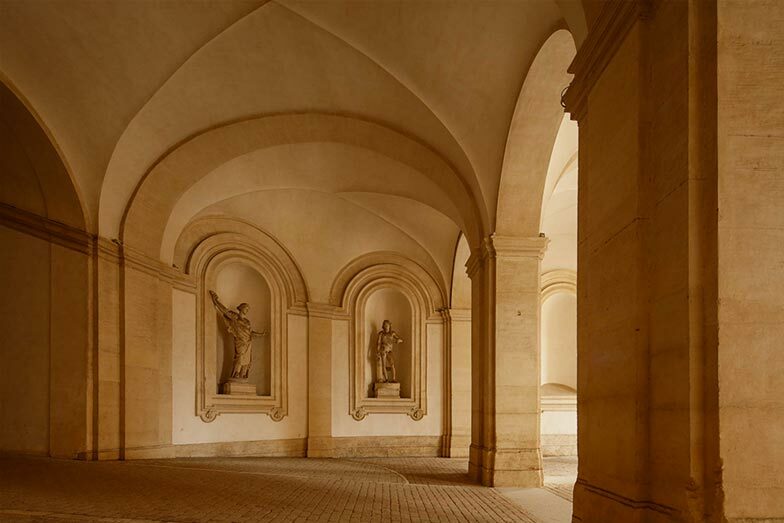 The original building was modified between 1659 and 1689, when it became the residence of Queen Christina of Sweden, who had moved to Rome in 1655 after converting to Catholicism. Christina, who was extremely cultured and a lover of the arts, held court in the palace that became a magnet for intellectuals. 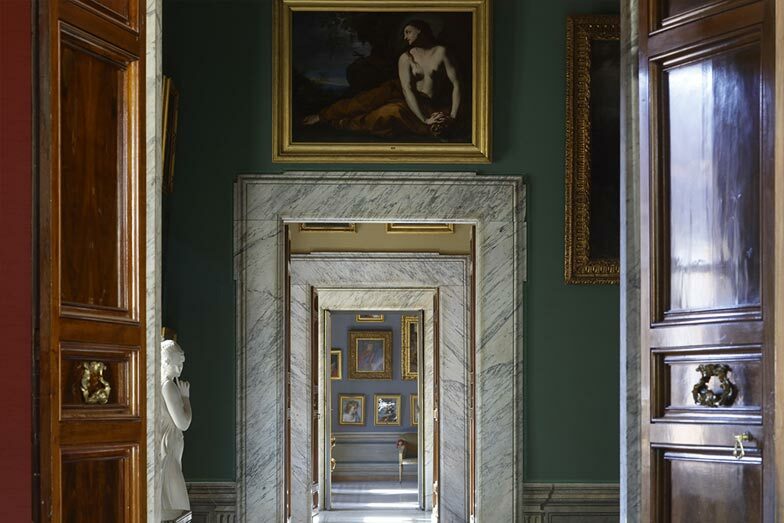 She modified the interior to house the collection of statues on the ground floor and the paintings on the first floor. Traces of this phase of the history of the palazzo can be seen in the Queen’s Alcove, where the Cinquecento frescoes are preserved. The Corsini family acquired the palazzo in 1736, after the election to the papal throne of Lorenzo (Florence 1652-Rome 1740), who reigned as Pope Clement XII. 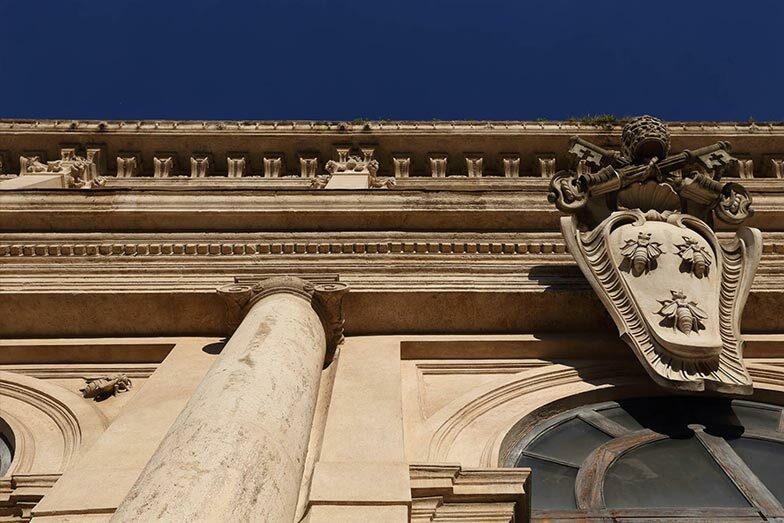 The wealthy Florentine family needed a residence in Rome suitable to their new status as the papal family; they commissioned the architect Ferdinando Fuga to restructure parts of the existing palazzo and expand it with new structures. 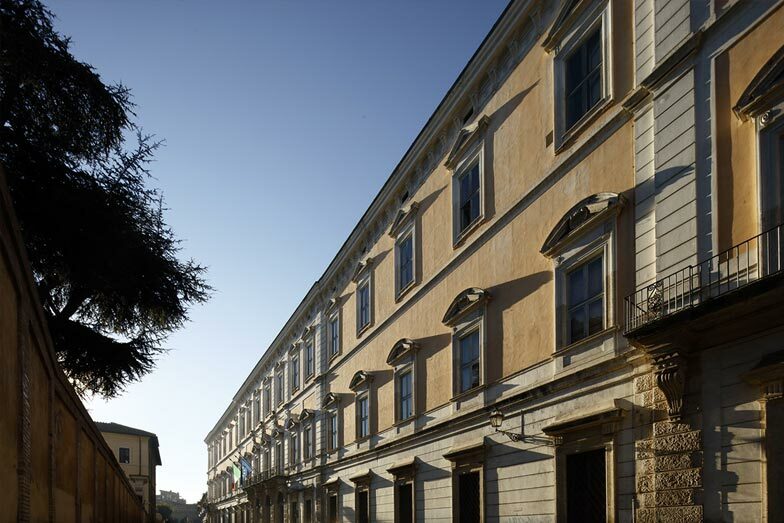 Fuga went on to design a second wing, a mirror image of the existing building and a central body with a monumental staircase: the three structures are unified by the long and majestic façade on Via della Lungara. At the rear of the palace is a garden that stretches as far as the Janiculum Hill. The Corsini family used the palazzo until 1883, when Prince Tommaso Jr sold the property and donated the entire collection to the Italian State, thereby contributing to the creation of the first Italian National Gallery. 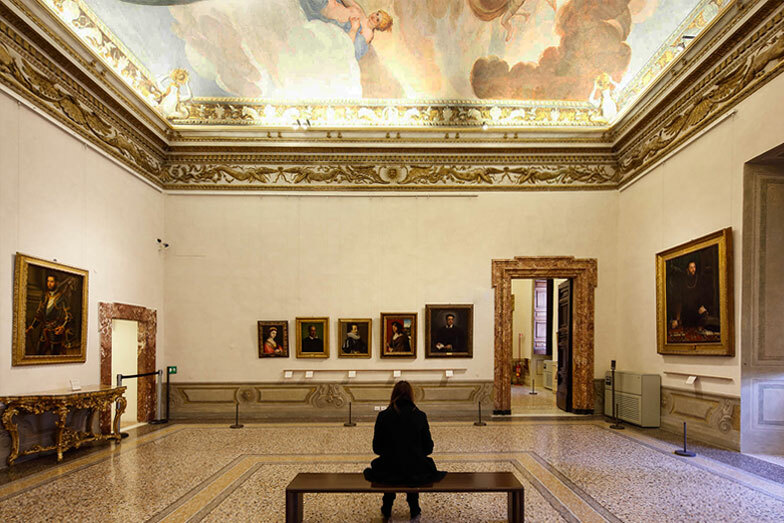 Today, part of the palazzo is home to the Accademia dei Lincei. The library of the Accademia houses the collection of books of his grandson Cardinal Neri Corsini, while the extraordinary collection of prints constitutes the oldest core of the current Istituto Nazionale della Grafica. The garden today houses the Botanical Gardens of Rome.